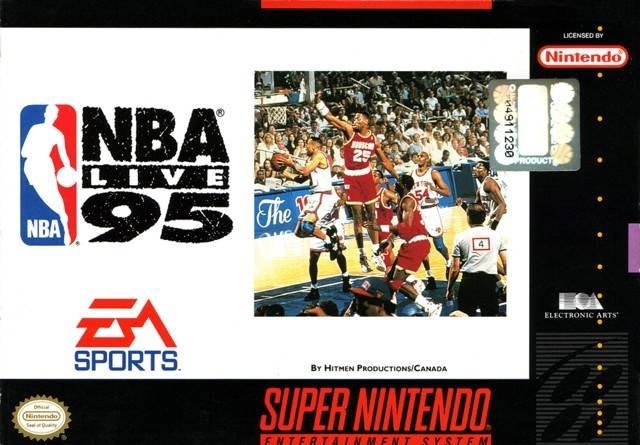 NBA Live '95 for Super Nintendo features all NBA teams with the option to play a full or reduced season with playoffs. you have full control over every aspect of the game. There are 46 offensive plays and four defensive sets to choose from. Take control of the defensive match-ups, dunks, and lay ups. Passing on the run and turbo features allow for quick fast breaks.